Disasters kill, maim, and generate increasingly large economic losses. But they do not wreak their damage equally across populations, and every disaster has social dimensions at its very core. This important book sheds light on the social conditions and on the global, national, and local processes that produce disasters. Topics covered include the social roots of disaster vulnerability, exposure to natural hazards such as hurricanes and tsunamis as a form of environmental injustice, and emerging threats. Written by a leading expert in the field, this book provides the necessary frameworks for understanding hazards and disasters, exploring the contributions of very different social science fields to disaster research and showing how these ideas have evolved over time. Bringing the social aspects of recent devastating disasters to the forefront, Tierney discusses the challenges of conducting research in the aftermath of disasters and critiques the concept of disaster resilience, which has come to be seen as a key to disaster risk reduction. 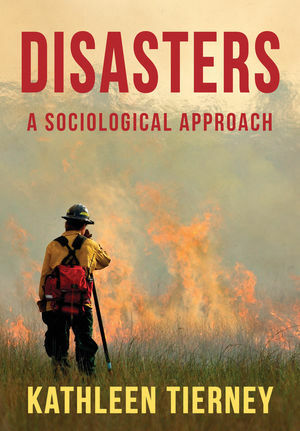 Peppered with case studies, research examples, and insights from very different disciplines, this rich introduction is an invaluable resource to students and scholars interested in the social nature of disasters and their relation to broader social forces. Kathleen Tierney is Professor of Sociology at the University of Colorado Boulder. Chapter 8: What the Future Holds: Greater Risks and Impacts or Greater Coping Capacity?